At SkinRenew Laser Medical Center we provide Botox® Treatments to Modesto and Central Valley patients, we use a variety of safe and biocompatible, natural cosmetic dermal fillers that restore volume and fullness to the skin to correct moderate to severe facial wrinkles and folds, such as nasolabial folds. BOTOX® Cosmetic and fillers are used to correct wrinkles in different ways. Fillers are injected into the skin, adding volume to smooth wrinkles such as the lines from your nose to the corners of your mouth (nasasolabial folds). In contrast, BOTOX® relaxes the muscles that cause frown lines between your eyebrows. Come into our Modesto center and experience the simple, 10-minute treatment that consists of a few tiny injections that most patients compare to the sensation of a bug bite. Overall, the discomfort is minimal and temporary. No anesthesia is needed. However, your doctor may choose to numb the injected area with a cold pack or anesthetic cream before the actual treatment. BOTOX® Cosmetic is a natural, purified protein that is administered at very low doses. 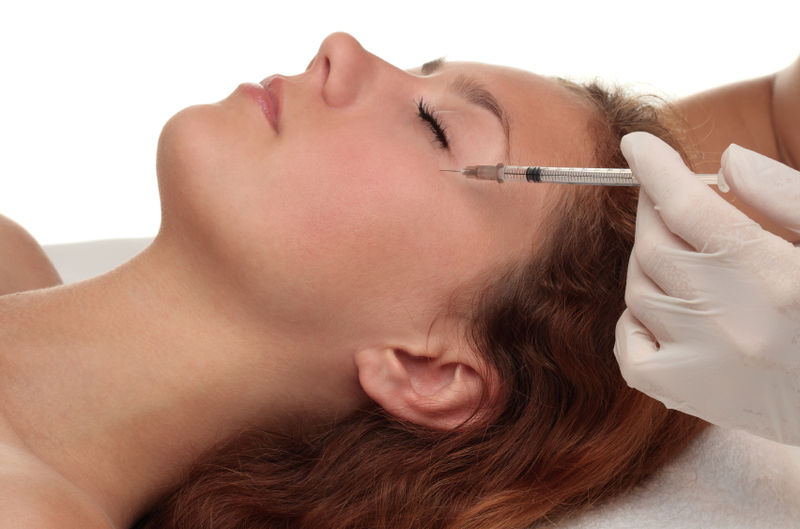 The effects of BOTOX® Cosmetic are usually confined to the injected region. It does not travel throughout the body. What can I expect after my treatment? Side effects? Within a few days there is a noticeable improvement of the injected site. Immediately following the procedure, you may notice slight bruising and swelling where BOTOX® Cosmetic was injected. This is only temporary and can be covered by makeup. We recommend local icing to minimize bruising and swelling. Most patients go right back to work or continue their activities immediately after the procedure. The most common side effects are headache, respiratory infection, flu syndrome, temporary eyelid droop, and nausea. Results may vary. Will my facial expressions look unnatural? How long with the effects last? The effects of BOTOX® Cosmetic can last up to four months. If you’re pleased with the results of a BOTOX® Cosmetic treatment, you’ll probably want to get on a treatment schedule so you can keep on being pleased. What Fillers do you recommend? Are Fillers safe? What about side effects? Yes. Facial Fillers and wrinkle treatment have been used safely by dermatologist and plastic surgeons since 1996 worldwide. It has been used in several million treatments in over 60 countries to correct a variety of wrinkles and to enhance the appearance and fullness of lips. Because fillers are non-animal-based and fully biocompatible, allergy testing is not required. There is virtually no risk of animal-based disease transmission or allergic reaction. The most commonly reported side effects were temporary redness and swelling at the injection site. These effects typically resolve within 2-3 days. Immediately after the treatment, you can expect a slight redness, swelling, tenderness and an itching sensation in the treated area. This is a normal result of the injection. The discomfort is temporary and generally disappears in a few days. When it comes to lip augmentation, the swelling may last longer. Some patients experience swelling for about a week. During this time, the lips can look somewhat uneven and may feel even “lumpy”. This means that the result directly after the treatment should not be regarded as the final result. If the discomfort continues or if other reactions occur, you should always contact your practitioner. How long do Fillers last? How often do I need to have the procedure done? One of the great advantages of Fillers are they are long-lasting, but not permanent. Studies have shown that the average treatment results last six to twelve months. Unlike permanent treatments or implants, Fillers always leave you with the option of re-evaluating your needs when the initial effect has worn off. With Fillers, you will always have the option of continuing or changing the combination of treatments. A follow-up can be performed at any time you like after the previous treatment. Fillers last twice as long as collagen, so treatments are typically scheduled once or twice a year. Evidence shows that having a touch-up treatment before the product has fully dissipated will enhance the lasting effect and with stating that for long lasting skin care Modesto is the place to come.